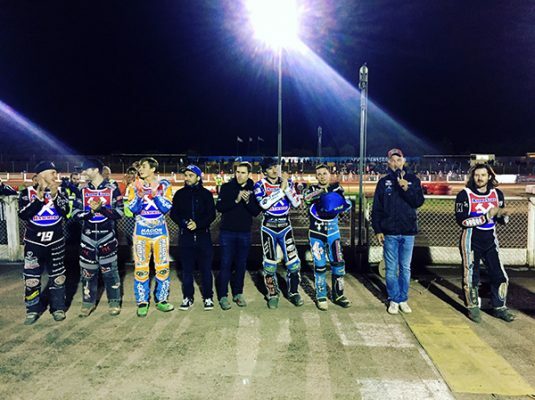 On their final night at Arena-Essex Raceway, the Hammers beat high-flying Glasgow 50-40 to take another giant stride towards the Championship Play-Offs. But Pottinger was just delighted that his side coped with the occasion to still keep their league title hopes in tact. He said: “It was a big night for the club, very emotional as you would expect. But I was proud of the way the boys handled it. “It was a difficult night in the end. We lost Zach Wajtknecht in Heat 7 with a back injury after a bad crash. “There was a big delay but the team kept their focus and always kept Glasgow at a safe distance with a decent lead. “Nick Morris also had a big crash in Heat 15 but thankfully he walked away. We obviously hope Zach is OK but we’ll have to see how he is after a check at the hospital. 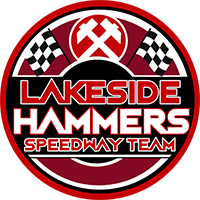 Lakeside managed to just pull clear of the Tigers with a 5-1 in Heat after Chris Harris had gone through the tapes. But visiting No.1 Craig Cook beat Richard Lawson in Heat 6 to narrow the gap to 20-16 and there was still only four points in it after Heat 9. However finally Hammers fans could begin to relax and enjoy the farewell night as Lawson and Ben Morley hit a 5-1 a race later to give themselves an eight-point cushion. Another heat advantage from Adam Ellis and Alfie Bowtell in Heat 12 increased the lead to 10 points and that’s the way it remained. Pottinger added: “It was a great farewell to 34 years at the Raceway. Richard Lawson 12+1, Adam Ellis 12, Nick Morris 11, Ben Morley 7+1, Alfie Bowtell 5+2, Zach Wajtknecht 3+1. Craig Cook 16, Paul Starke 7+1, Broc Nicol 7, Chris Harris 4, Claus Vissing 4, Jack Thomas 2, James Sarjeant 0.